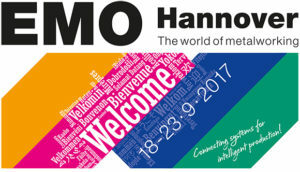 Today we’re proud to introduce our partner – EMO Hannover – the top global event for the metalworking sector. The EMO Hannover 2017 is a premier trade fair taking place from 18th till 23rd of September and attracting manufacturers and users from all over the world. Visitors come to EMO Hannover from all corners of the world and all sectors of metalworking industry. Although, trade fair is happening in Hannover, Germany, majority of exhibitors – approximately 60% – comes from outside of Germany making Hannover trade fair the world’s most international metalworking event. This fact is recognized and appreciated by international experts in metalworking industry which makes EMO Hannover a prestigious event for all professionals. No surprise, that many EMO Hannover’s attendants synchronize their production and innovation cycles with the world’s leading trade fair for metalworking. Consequently, more innovations are unveiled during Hannover trade fair than at any other event in metalworking industry. Decision makers refer to and rely on the innovations presented during the exhibition in Hannover. Since EMO Hannover is a metalworking trade fair, various production areas are presented during the event, from machine tools and cutting tools to forming and precision tools. 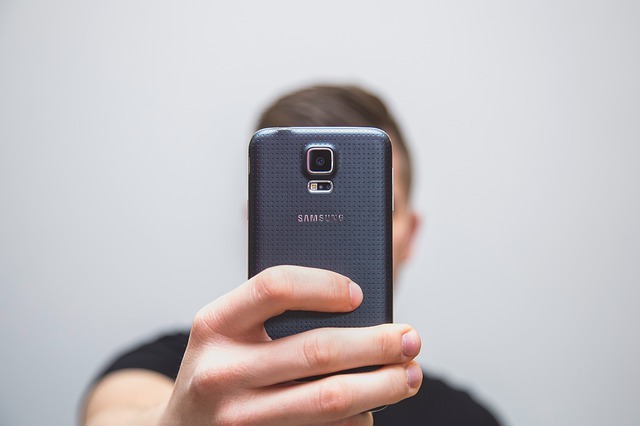 Great attention is paid to system elements and components for automated manufacturing. EMO Hannover brings a complex approach to metalworking sector which is so appreciated by the visitors and exhibitors. EMO visitors are the most qualified professionals in the metalworking sector. They are attracted by the innovation potential of productivity Hannover fair represents and their deep knowledge of the industry brings a new dimension to workshops and presentations taking place at the fair. The EMO Hannover is organised by the German Machine Tool Builders’ Association (VDW) on behalf of the European European Association of the Machine Tool Industries, (Cecimo). EMO Hannover in September 2017 will be opened by Germany’s President Frank-Walter Steinmeier. There has been a 4 year pause between the last event in 2013, from 18 to 23 September 2017 the doors of the greatest metalworking trade fair will open once again in Hannover. The motto of EMO Hannover 2017 is Connecting systems for intelligent production, a great emphasis will be put on digitization and automation of production systems. Primary discussion topic at EMO Hannover 2017 will be the production technology innovation. Hannover trade fair is hoping to achieve important conclusions in the field of Industry 4.0 concept or the Internet of Things (IoT). In 2013, EMO Hannover fair was attended by over 2,100 exhibitors and around 143,000 visitors from 110 countries. In June 2017, there are more than 2,050 companies from 45 countries signed up as exhibitors for EMO Hannover 2017. Over half of the exhibitors (around 1,400) come from Europe. However, the number of Asian exhibitors has also increased from 21% in 2013 to 25% in 2017. According to Carl Martin Welcker, General Commissioner of the EMO Hannover, the current status of registration is above the same figures from trade fair in 2013. All indicators are pointing towards the same direction: EMO Hannover 2017 is heading for a record participation level. Visitor tickets are available for purchase online at EMO Hannover website. However, there is an option to get admission tickets for free! Global Fairs brings all metalworking industry enthusiasts an opportunity to win free tickets for EMO Hannover. All you have to do is go to Global Fairs page and fill in the registration form (please notice their website is in French). Best of luck and see you at EMO Hannover in September!